On November 27th I purchased a digital download using using paypal as payment, thinking I was being protected by buyers insurance offered by paypal... a small but significant purchase of $250 US The file was delivered for a week, then it was delivered as an unusable 6 gig file, and then as a smaller file but, due to the time that had passed, a paypal resolution request had been raised, the files were password protected. PayPal told me told they had extended the time for the seller to respond and they wouldn’t review the claim until December 24th. I have pointed out the details of my claim, the fact the seller is passing himself off as a legitimate business [ using a very close version of their name ] and that after a month I haven’t got my purchase... but to no avail. A promised call from a supervisor hasn’t been received... a text / tweet exchange with @AskPayPal has produced nothing and I am still expected to wait until the recalcitrant seller replies to a second request - paypal’s 10 days to resolve the matter has long since passed. This is my last message from @AskPayPal: Ask PayPal @AskPayPal I am sorry that I cannot resolve this for you. I have passed on the information to our Claims Department and they will contact you directly. 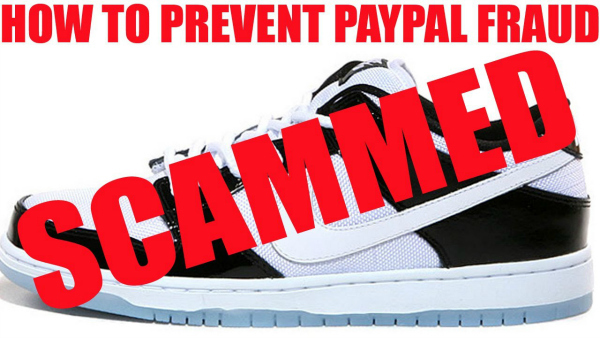 Thanks ^SLS So, please don’t put any faith in the buyers protection nonsense that paypal peddle. A month after the event, I am still without what I paid for, and the matter could drag on for another couple of weeks. paypal have obviously got “too big to care” and they use call centres in the Philippines where low paid staff have no authority to resolve obvious cases of fraud. I have supplied details of the sellers fraudulent name copy and also the real site but nobody cares or is prepared to make a decision. A request to speak to a supervisor at 11am - now some 8 hours ago, was met with “They will call you back” and obviously you know the result of that... I am still waiting. I am very happy to post my correspondence with the seller here if required but I raise this issue... the buyers protection offered by pay pal is not worth the digital space it takes up... Fingers crossed this will eventually be solved. Half of your article cannot even be read because of your sidebar.